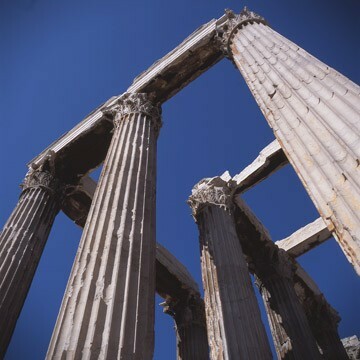 The Apostle Paul spent time on three different missionary journeys throughout the Mediterranean preaching the gospel, planting new churches, and appointing men he had mentored and taught to help lead these new congregations as they began to grow. Two of these young men, known affectionately as his sons in the faith, were Timothy and Titus. Titus was a Gentile who had been converted early in Paul’s ministry. He attended the Jerusalem Council in Acts 15 as the Apostles and Elders in the early church discussed the inclusion of Gentiles in the faith, and also prepared to fight against the heresies of the Judaizers and others who would try to claim that Gentiles must live as Jews under under Old Testament Law if they wanted to follow Christ. Paul depended upon Titus to help with the situation at the church in Corinth, mentioning him 9 times in 2 Corinthians, as he was an elder there helping to direct the church according to Paul’s teachings. Later, after Paul had worked to plant a new church on the island of Crete, he left Titus there to pastor the church and help establish it. Crete was synonymous with immorality and known for great ungodliness. Yet in this culture a new church was birthed as people responded to the preaching of the gospel of Jesus Christ. Very early on though the church faced trouble. False teachers arose in their midst, possibly even a few elders in the church who were themselves ungodly in their living all the while claiming to be followers of Christ. The old heresies showed up again as people chased after “Jewish myths” regarding ritual purity that ultimately led to a legalistic adherence to Old Testament law as a means of salvation. Paul wrote his “pastoral epistle” to Titus in order to set a tone of urgent importance in the need for faith that produced godly living. If the church was believing the true gospel then the result would be godly living even in an ungodly culture. As we begin a study through the Book of Titus we will see that Paul emphasizes the qualities that serve as evidence that a church is sound and healthy. He does not give us a doctrinal check list! But he does go into some detail about the character and qualities of a sound church. He describes a healthy church by explaining proper leadership, proper handling of error, proper Christian living, and by demonstrating that the gospel is the source of godliness. Through this series of sermons we will see themes stressed by the Holy Spirit through Paul’s writing that prepare the church for effective evangelism. This includes teaching that the gospel rightly understood and believed will produce godly lives full of good works and that the works we do are ample evidence to prove or disprove our claim to know and believe God. There is an inseparable link between faith and practice, believe and behavior. This new series through Titus is titled “Qualities of a Sound Church.” Our first message, from Titus 1:1-4 “Quality Relationships” will introduce the epistle, the cast of characters, and demonstrate how from the start Paul stresses proper relationships between the church and her Savior and between individual believers in the fellowship. Join us this Sunday, May 1, at 10:30 AM as we begin our verse by verse study through Paul’s pastoral epistle to Titus. I shall miss greatly being there tomorrow morning. I will pray for you guys and the service and I look forward to hearing the sermon later.